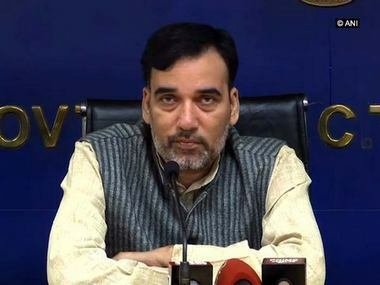 Delhi chief minister Arvind Kejriwal and his council of ministers met Lieutenant-Governor Anil Baijal on Friday after a team of Delhi Police arrived at the chief minister's residence to review the CCTV footage in connection with the alleged assault of Chief Secretary Anshu Prakash by AAP MLAs. After the meeting, Kejriwal said that officers were not attending meetings for past three days due to the alleged assault on Prakash. On Twitter, he said that the governance was being affected because officers were skipping their work. 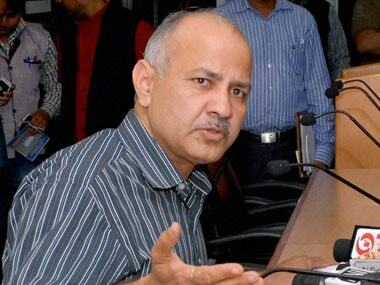 Addressing a press conference, Delhi deputy chief minister Manish Sisodia said that the lieutenant-governor has assured that he would talk to the bureaucrats who have been striking work and that the public service won't stop. "We informed the lieutenant-governor about the state of governance and how bureaucrats have not been attending meetings in the past two to three days. They didn't even attend our phone calls. We have handed over a list of these officers to the lieutenant-governor," Sisodia added.After the meeting, Baijal tweeted that he has asked Kejriwal and his ministers to act on the "mistrust" among the government employees. He also condemned the incident as 'unfortunate' while saying that there was no place for violence in a democratic society. Met Hon'ble CM @ArvindKejriwal & his cabinet colleagues. Strongly condemn the recent unfortunate incidents. Advised elected Govt. to take steps to remove mistrust with Govt. employees so that development of Delhi is not affected. No place for violence in democracy. Meanwhile, the bail applications of AAP MLAs Amanatullah Khan and Prakash Jarwal, accused of assaulting the chief secretary, were rejected by a Delhi court on Friday, ANI reported. AAP MLA Naresh Balyan stoked controversy on Friday when he tried to justify the alleged assault. "They (bureaucrats) are taking up to three to six months for doing work which should be done in three days. Why? Because the Delhi chief minister abolished the commission system which earlier reigned. And as this system was eradicated, they (bureaucrats) started sitting on the files. "Whatever happened to the chief secretary...I say they should be beaten up, they should be thrashed... Whoever obstructs the work being done for the common man, should be meted out the same treatment," Sanjeev Balyan, the legislator from Uttam Nagar constituency, said at a public rally of the party. Police searches Kejriwal's residence After a search at Kejriwal's residence in connection with the alleged assault, the Delhi Police said Friday that no camera was installed in the room where the incident reportedly took place and that they would go about the investigation based on the coverage by cameras installed in the corridor. The officials also said that seven of the 21 CCTV cameras in the house were not functioning. 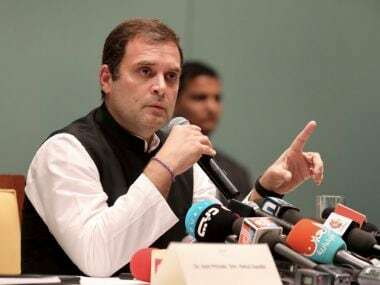 "The time of cameras at the chief minister's residence was running behind by 40.43 minutes," Additional Deputy Commissioner of Police (DCP) Harendra Kumar Singh told IANS while adding that hard disks of the cameras had been seized. The AAP termed the searches as "police raj" and said that there was no "intimation" prior to the search. Kejriwal told reporters outside his residence that he was "happy that the investigation is taking place" but said that the probe agencies should also garner "courage to question (BJP chief) Amit Shah" in the Justice Loya death case. "Investigation is going on in my house. 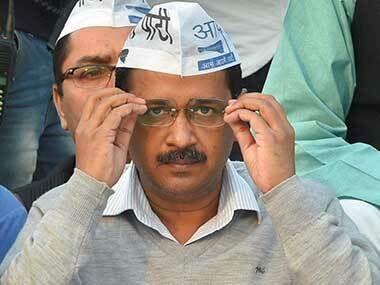 It is a good thing," Kejriwal said in a tweet. On Thursday, the Delhi Police submitted Kejriwal's adviser VK Jain's statement at a city court that he saw Khan and Jarwal "physically assaulting" the chief secretary. The two legislators were sent to 14-day judicial custody. Jain had said during Wednesday's "question and answer" recorded by police that he had gone to the washroom in between the meeting and as he came out, he saw the two AAP MLAs "physically assaulting" the chief secretary. Jain recorded the statement on the same lines in front of a magistrate under Section 164 of the CrPC on Thursday. The AAP defended by stating that Jain had initially told police that he did not witness any assault and police has threatened Jain to change his statement. On Tuesday, the chief secretary had alleged that he was beaten up by the two AAP MLAs, in the presence of Kejriwal, on Monday night at the chief minister's residence where he had been called for an emergency meeting.